Cleaning kitchen chopping knife from remnants of food in protective gloves against cuts. Application of disinfectant solution. Washing of premises and equipment in food industry, supermarkets. hd00:12Cleaning kitchen chopping knife from remnants of food in protective gloves against cuts. Application of disinfectant solution. Washing of premises and equipment in food industry, supermarkets. hd00:10Cleaning kitchen chopping knife from remnants of food in protective gloves against cuts. Application of disinfectant solution. 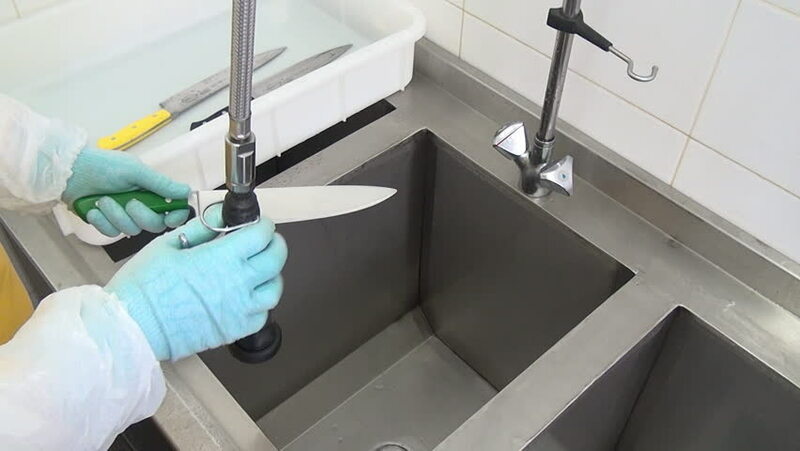 Washing of premises and equipment in food industry, supermarkets. 4k00:12Unscrewing screw with small handy electric power drill of the side case of the washing machine. hd00:12A female contractor on a construction site uses a laser level. hd00:25Blue cleaning gun. Application of disinfectant solution. Washing of premises and equipment in food industry, supermarkets, warehouses with food and other similar places.